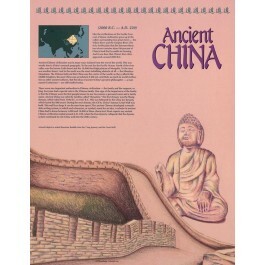 This educational poster of Ancient China features artistic renderings of the Great Wall, as well as a statue of a seated Buddha from the T'ang Dynasty. It also contains a concise and well-explained background history of the civilization, and a small map showing where it was centered during its prime. 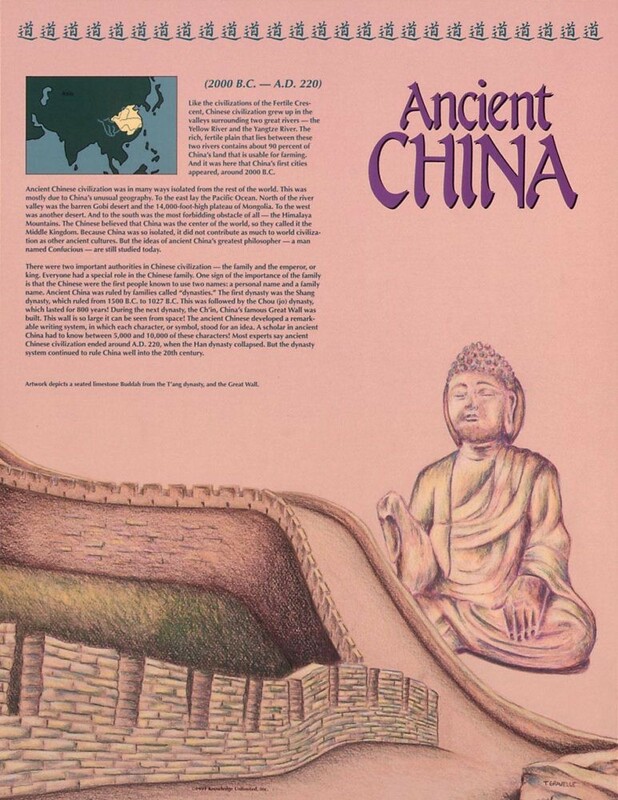 Ancient China was a very advanced civilization, producing a remarkable writing system, great philosophers like Confucius, and incredible structures like the Great Wall.